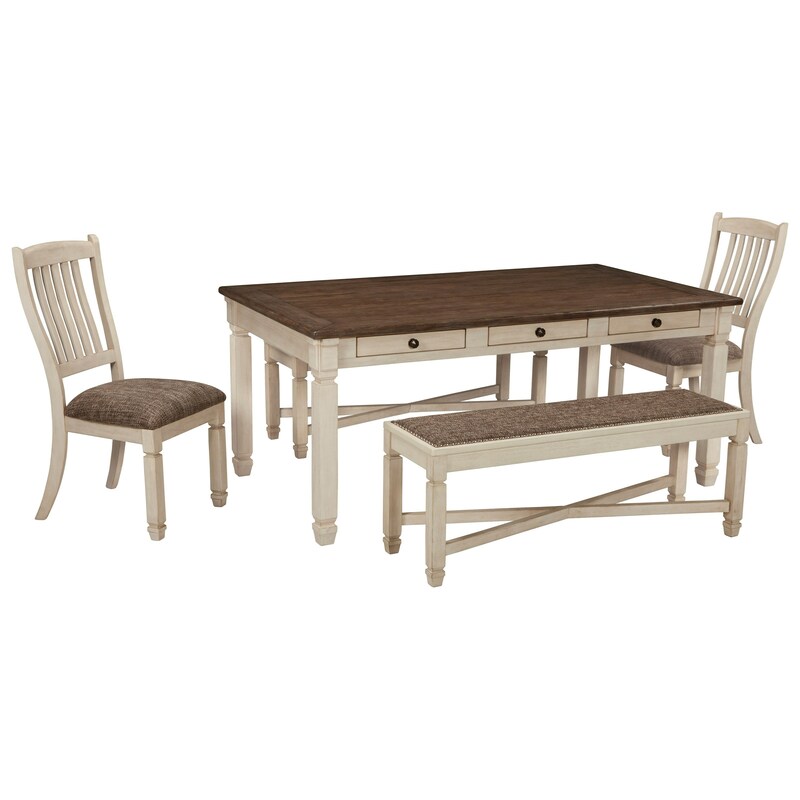 If you're looking for a dining set that provides sufficient seating and storage without sacrificing style, this is the set for you. 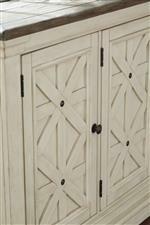 The relaxed vintage style is defined through the contrasting two-tone finish of antique white and weathered oak. This set is complete with two benches, allowing you to accommodate more people than side chairs would allow. Featuring six small drawers on the table top, this set has everything you're looking for. The Hazel Relaxed Vintage Table and Chair Set with Two Benches at Ruby Gordon Home in the Rochester, Henrietta, Greece, Monroe County, New York area. Product availability may vary. Contact us for the most current availability on this product. The Hazel collection is a great option if you are looking for Relaxed Vintage Cottage Coastal furniture in the Rochester, Henrietta, Greece, Monroe County, New York area. Browse other items in the Hazel collection from Ruby Gordon Home in the Rochester, Henrietta, Greece, Monroe County, New York area.